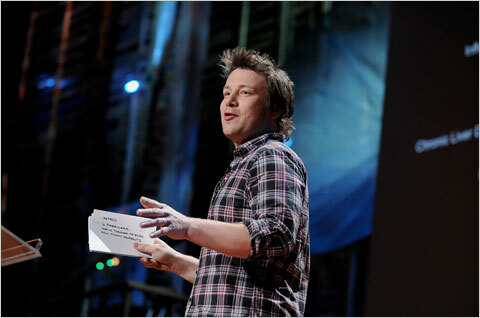 Jamie Oliver | Ooh, my favorite! He shares his wish along with a vitally important message on food education in his wonderfully impassioned speech for the TED audience. This is a cause that often gets me on my soapbox, so it’s so exciting to have the someone like Jamie Oliver helping to change the landscape of our food culture. Watch his wonderful speech from TED below.